How you doin' guys ?.. I am super fine . I want to give a shout out to my grandma for the 75th birthday today . do you know that Girls Generation release their new video ? Yup , it is called 'You Think' .Today my outfit accessories especially is inspired by their new MV. 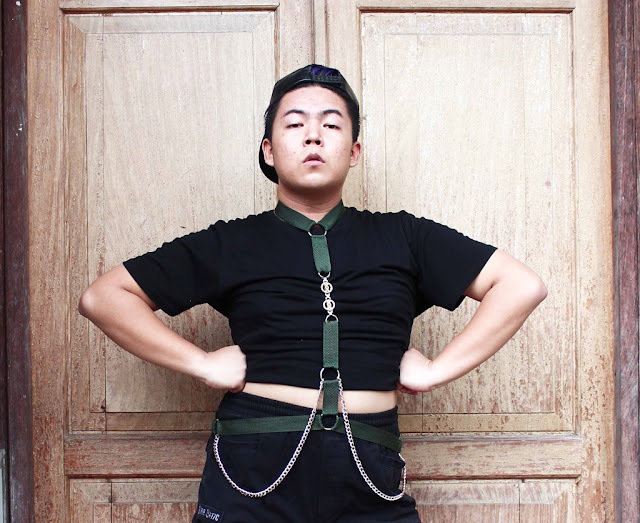 This Body Harness is usually used for Field worker for their safety , but currently fashion world modified it for compliment our look. I don't make it too similar , because i don't have the tools , SNSD's is very industrial made and it is leather , so all the equipment is not available , so i hand sew this .